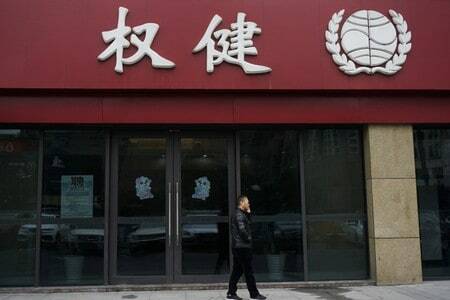 SHANGHAI (Reuters) – Chinese authorities have arrested the founder and more than a dozen others at a local traditional Chinese medicine (TCM) firm after the death of a young girl with cancer was linked to the company and sparked anger online. An employee in Quanjian’s customer service department told Reuters that authorities were dealing with the matter but declined to provide further comment on the arrests. Reuters could not reach Shu for comment. Chinese people expressed anger over the case and shared their own experiences about how the company overstated the efficacy of its treatments. Some criticized Quanjian for operating a pyramid scheme for sales. The Quanjian case has become one of the most widely discussed health cases since it went viral in late 2018, underscoring public concern over medical problems in China that range from a lack of doctors to slow approvals for new drugs.